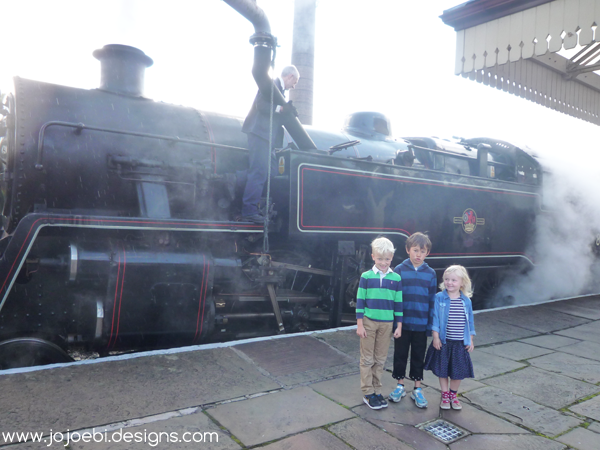 We had a fab day out with Lesley and her kids, affectionally known as Flowerpot and Sillypants starting with a trip on a steam train. I think it's the first time I've been to Ramsbottom, lovely little place, very quaint! 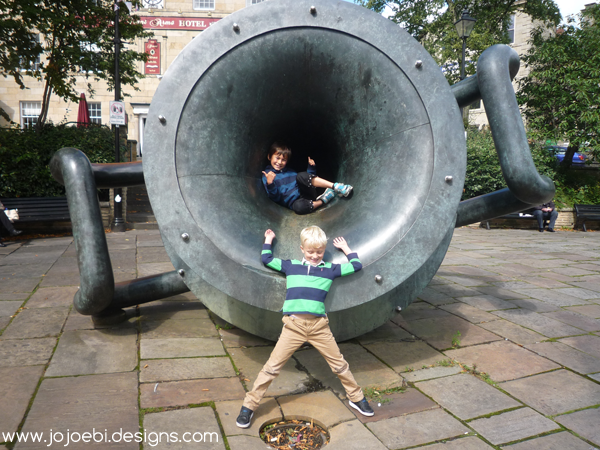 It has a great park so the kids burned off some energy as we has a good chin-wag. 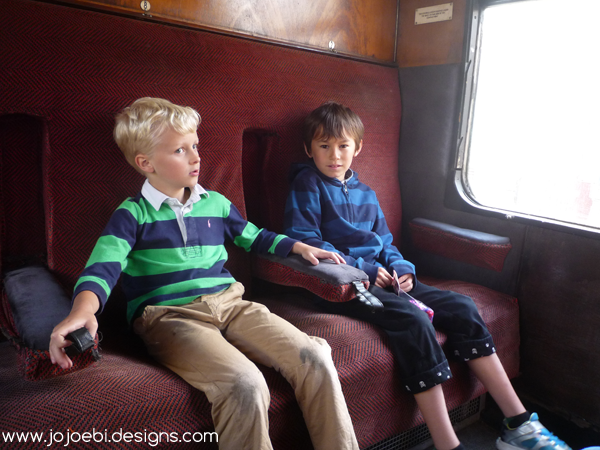 After wearing the kids out we went for lunch and ice-cream and then meandered back towards the station. The kids had introduced Ebi-kun to the devil that is loom bands so we ended up buying some so Ebi-kun could make his own. When Ebi-kun was writing his journal afterwards he said that when he was on the train he was imagining it was the Hogwarts Express and he was off to school with his friends! We are on HP 2 now so he is very much in the HP mindset at the moment. 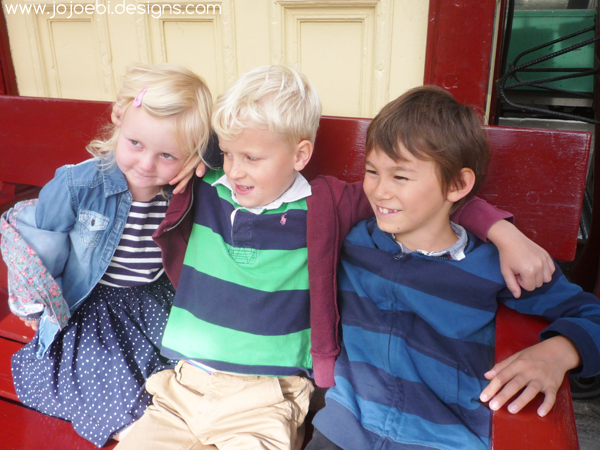 Fabulous day, we got dropped off at the train station in Manchester and headed back to moms in time for tea!